Why should I join Chuck Wagon? I've been around this game since before there even were posses or trains. I've played in dozens of posses, and most were pretty fun. If pretty fun is your high water mark, choose any one of these gangs and you will be satisfied. If however, you are looking for the exceptional, the extraordinary- give Chuck Wagon a look. This gang is as good as they come. I sincerely mean that. Just good, hard riding quality people. We are always top 10 but no one applies pressure to score bigger than you are comfortable with. 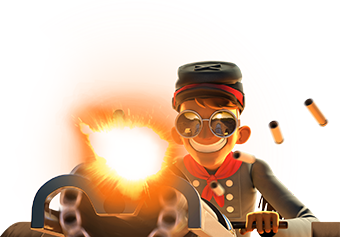 We have some of the biggest guns in the game, and we all are very generous sharing strategies and tips. But more than anything game related, we just enjoy each other's company and enjoy sharing a little slice of our lives with each other. Agree. Truly a better experience! The Chuck Wagon is a great place to be with good friends and good food. Hey Tex are you ready? Half of our main players were on vacation/holiday and they are back and ready to ride. And just think we still finished in the top five. We are looking for some cowboys and cowgirls that are ready also. So let them know they better join because the spots are up for grab and should go quickly. We need 6 people for the next event so if you have what it takes come on to the Chuck Wagon. Run don't walk or else you will be too late. The Chuck Wagon will fill up quickly after this event. So come and get it. Come on guys and gals jump in the wagon I bet You like this wagon.